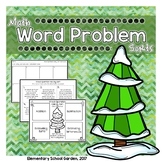 Students read the word problem (12 included) and decide whether they would solve with addition or subtraction. 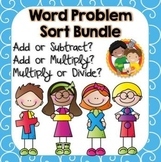 They then place the word problem on the correct sorting mat. 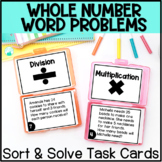 When they are done they need to solve two from each mat. 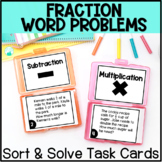 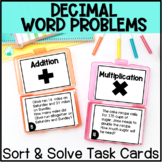 Great task cards to have students sort into addition, subtraction, multiplication, or division problems. 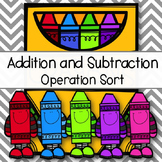 12 cards in total, 3 of each operation. 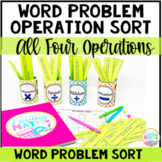 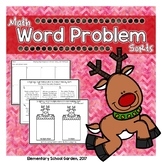 This works wonderfully as a Math Center or as a small group activity. 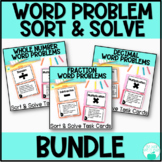 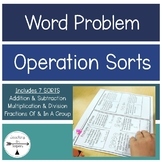 Extension: Have students solve the problems after they have sorted the problems.